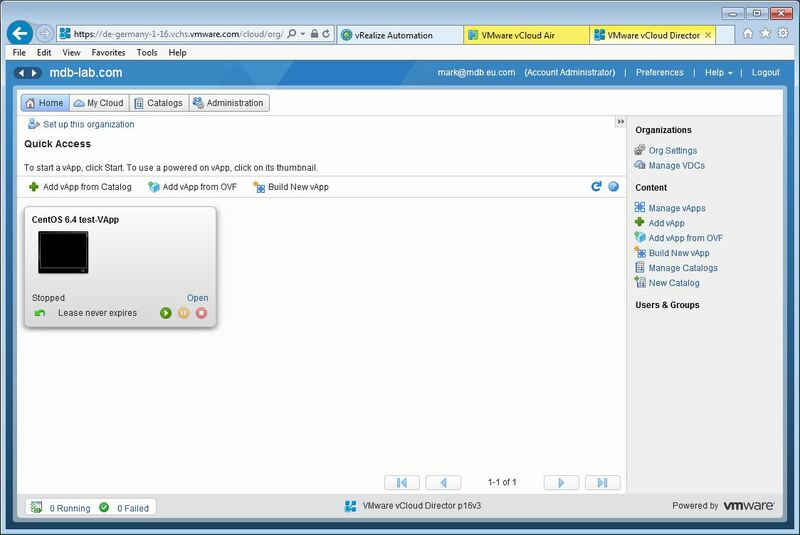 In part 10 we configured the vRealize Automation default tenant for our lab. We decided against using multiple tenants as the lab is only hosting one organization, and business groups utilizing it will be defined using other means. 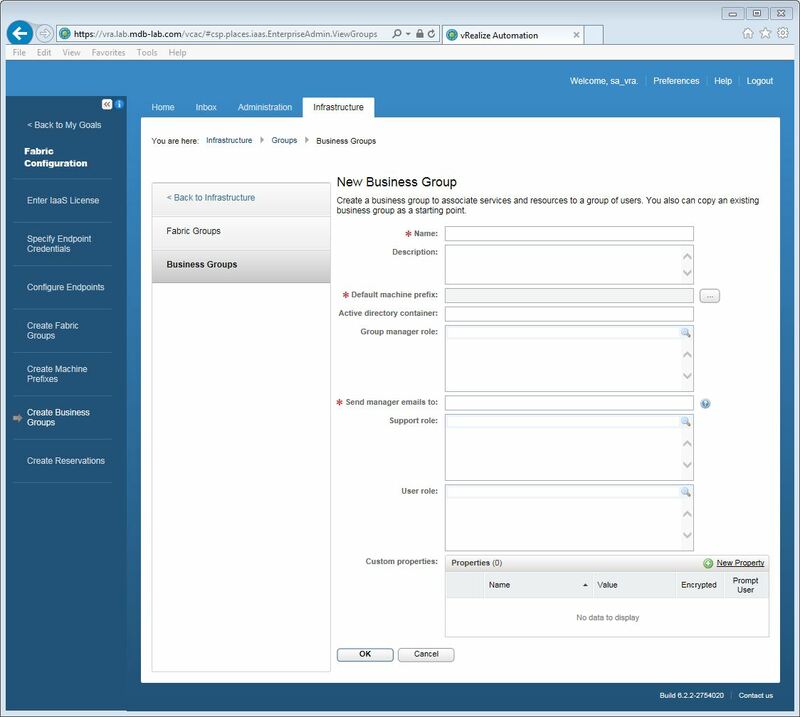 In this part, we configure the blueprints which will make up our service catalog. Before we can proceed, we must licence the vRA installation. 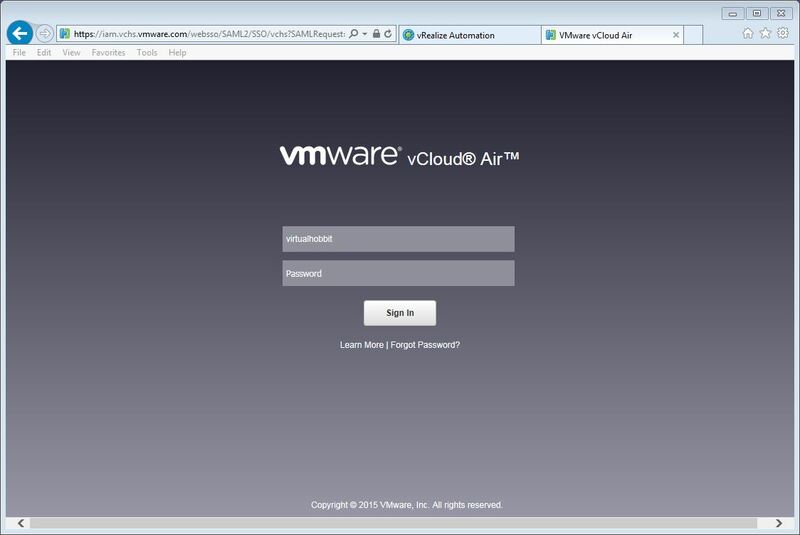 Enter the licence key and then click OK.
cd "C:\Program Files (x86)\VMware\vCAC\Server\Model Manager Data\Cafe"
This is due to a change VMware made starting from 6.1.x. 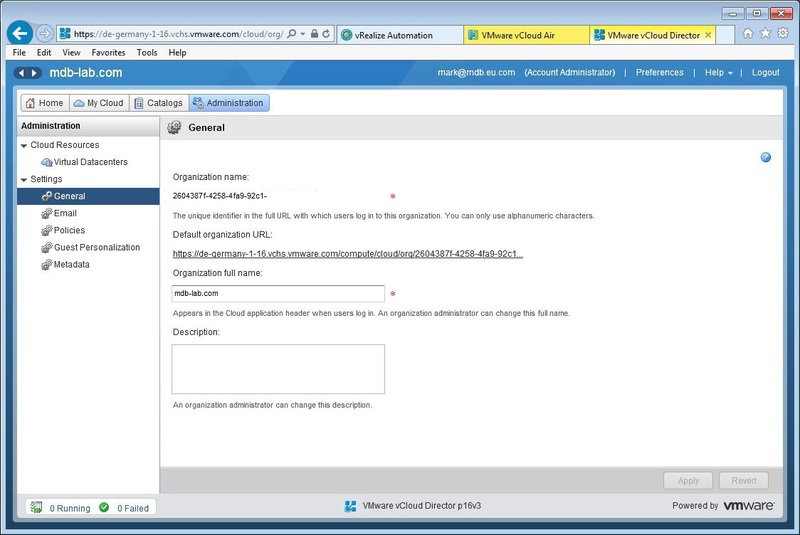 More information can be found at http://kb.vmware.com/kb/2090236. I have updated the relevant step in part 9 to reflect this. 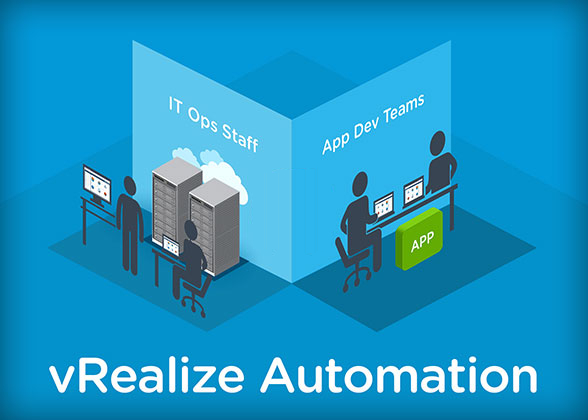 In vRealize Automation, an endpoint is a target resource for our virtual machines. An example of this is a vCenter Server, vCloud Air or Amazon Web Services (AWS). Click the green tick button to save the details. Select the credentials entered in the previous step and click OK. 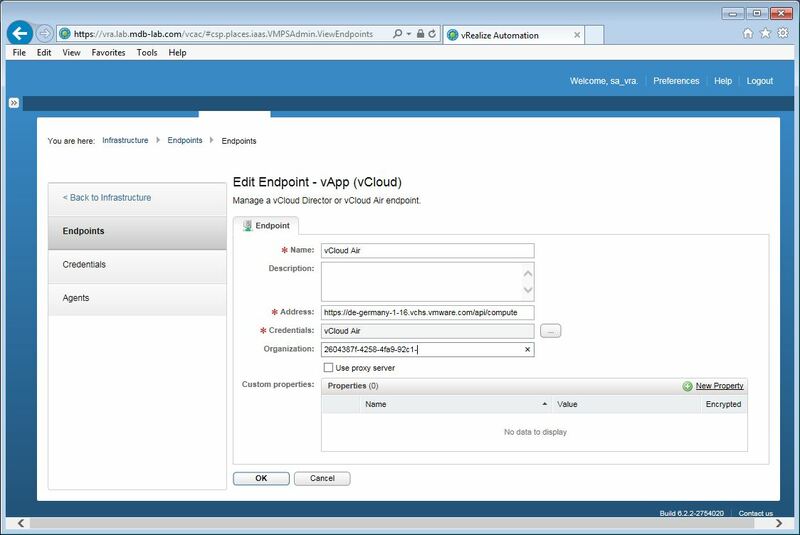 If you have subscribed to VMware’s cloud solution, vCloud Air, then you can also specify that as a vRealize Automation endpoint. 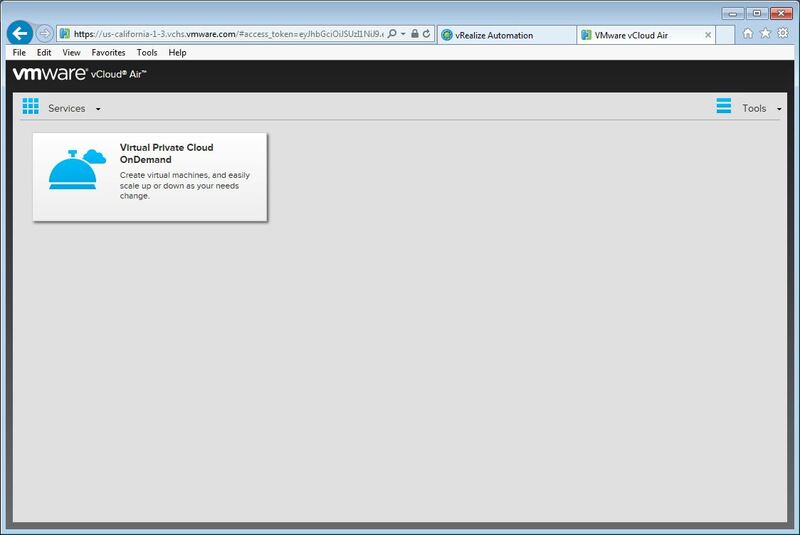 The following is a list of steps for those who have access to the OnDemand Private Cloud. Make a note of the Organization Name (I have blanked the last section of ours out). 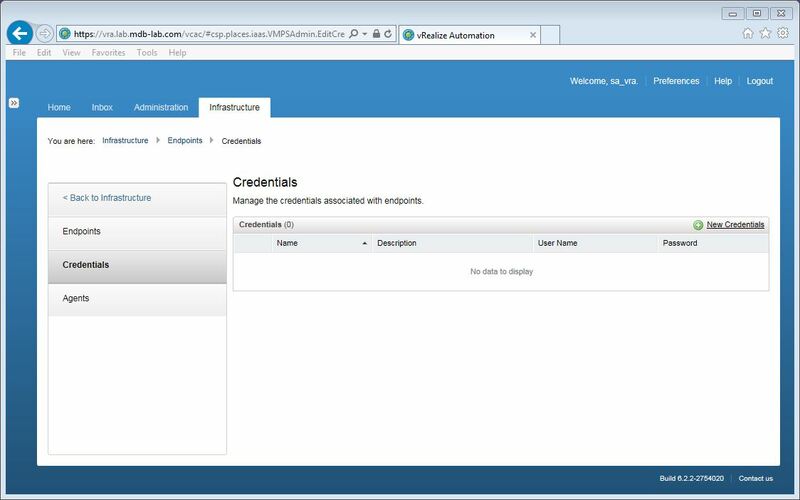 Switch back to the vRA administration page. 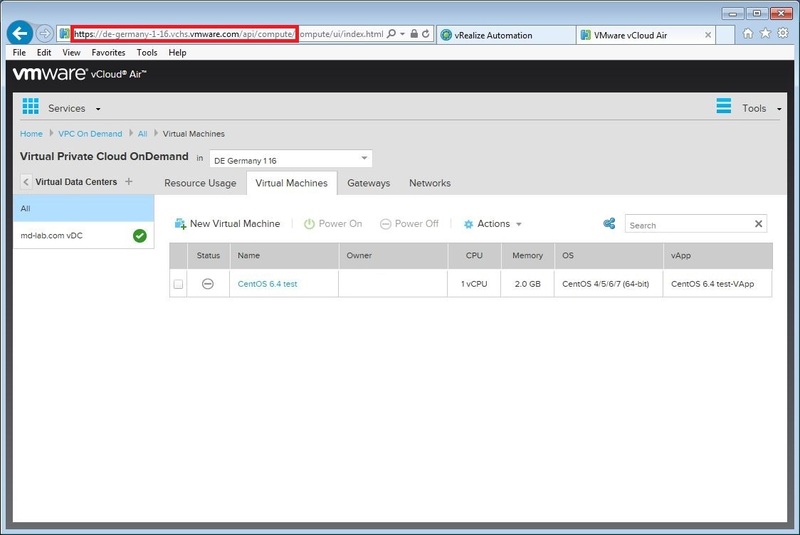 Click Endpoints, then New Endpoint, Cloud, vApp (vCloud). Complete the Name and Address fields, using the URL from above. Using your mouse, hover over the vCloud Air endpoint and click Data Collection. Click Start. In a few minutes it will be complete. Click New Fabric Group. Type a name for the group, and in the Fabric Administrators box type the name of the group previously created. 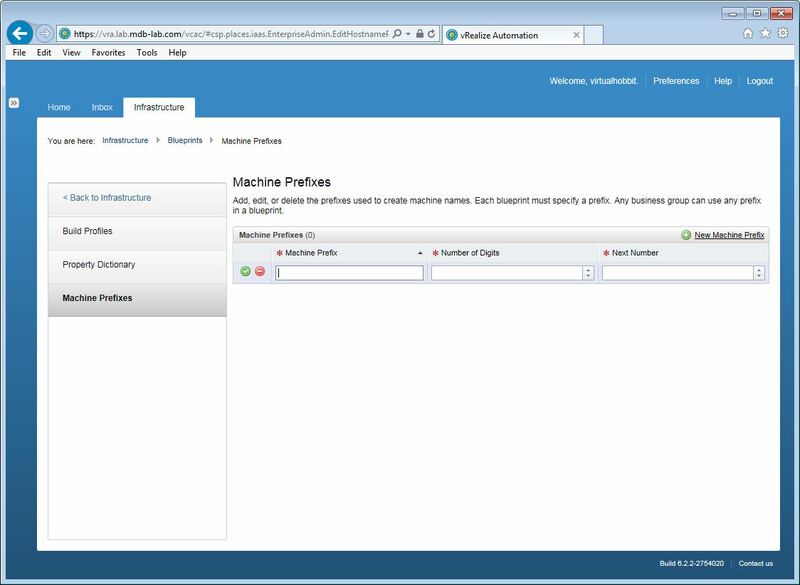 Click in the Compute Resources box, and then check the box that represents the vCenter cluster. Finally click OK. 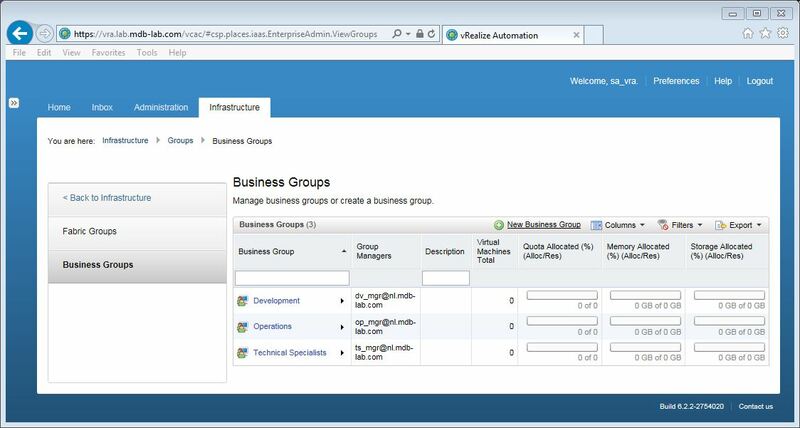 Virtual machines provisioned by vRealize Automation can be prefixed to identify which business group they belong to. Complete the dialog boxes for each group, then click OK. 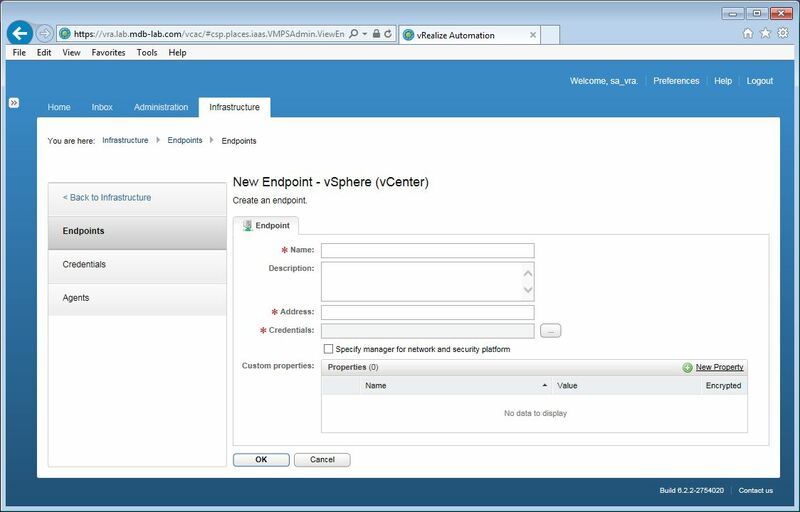 In this part we configured two endpoints for vRealize Automation that point to the local vCenter and to vCloud Air. We also created fabric groups, machine prefixes, and business groups aligned to our business functions. 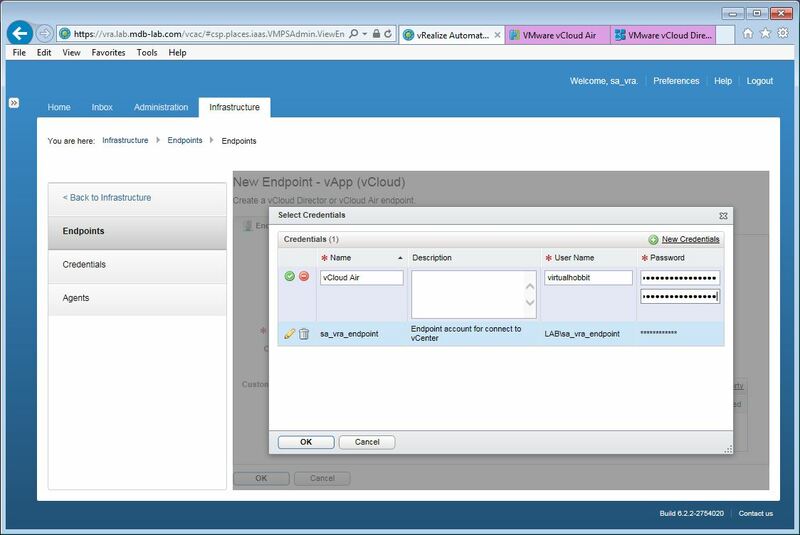 In part 12 we configure blueprints which will make up our service catalog.